My husband claims that the first fight we ever had was over a pumpkin pie. It was winter of 2012, the year we started dating. Our regular date-night restaurant, Pizzeria Mozza, was featuring a special on its dessert menu–pumpkin gelato pie. This pie changes with the seasons: sometimes it’s coconut gelato, sometimes it’s banana gelato, and my personal favorite is summer’s Meyer lemon gelato pie. But this was the fall, and pumpkin was the featured gelato pie flavor. The thing is, it didn’t really taste of pumpkin at all. I enjoyed it, but my husband absolutely hated it. “It tastes like nothing!” he complained. Rolling my eyes at his tirade, I tried another bite. Buttery graham cracker crust, and…vaguely pumpkin pie-like gelato. If you were to close your eyes, you might be eating vanilla or even plain gelato. I could see his point. I suppose that’s the problem with pumpkin desserts: what, in fact, does pumpkin actually taste like? 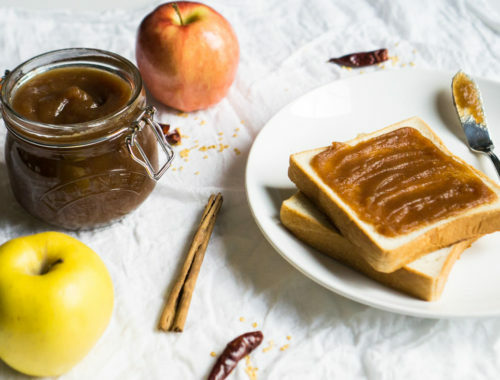 It’s a soft, bland flavor that mostly serves as a vehicle for pumpkin pie spice. Substitute butternut or acorn squash for the pumpkin and you probably wouldn’t even be able to tell the difference. But we still, of course, love desserts that make us think of a slice of freshly-baked pumpkin pie, with its unique blend of spices, ever-so-slightly chunky texture, and buttery crust. So we trick our brain into thinking we’re eating pumpkin pie by combining cinnamon, allspice, nutmeg, cloves, and ginger, and we turn to (often artificially-flavored) pumpkin spice lattes, pumpkin pie M&Ms, and even pumpkin pie candles. So when I decided to make a new fall dessert, a new take on pumpkin pie, I had to rack my brain about what to do. Pumpkin pie butter mochi might be good, I thought. 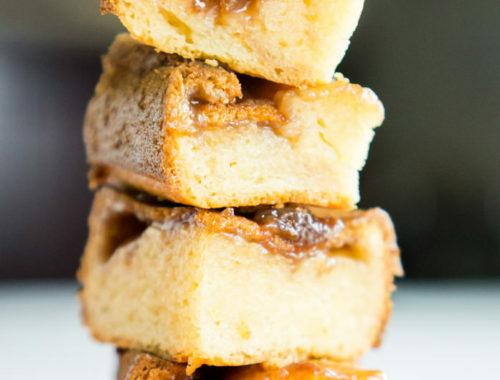 The fall spices combined with the gooey texture and crisp, buttery edges of butter mochi might turn out to be spectacular. And, in fact, when I did some preliminary research into pumpkin butter mochi, there were a handful of recipes on the internet–but they all seemed to be very, very similar to each other, and common complaints in reviews were that the mochi was too sweet, it didn’t end up baking up to have the heavenly gooey butter mochi texture, and (horror of horrors!) you couldn’t taste the pumpkin. 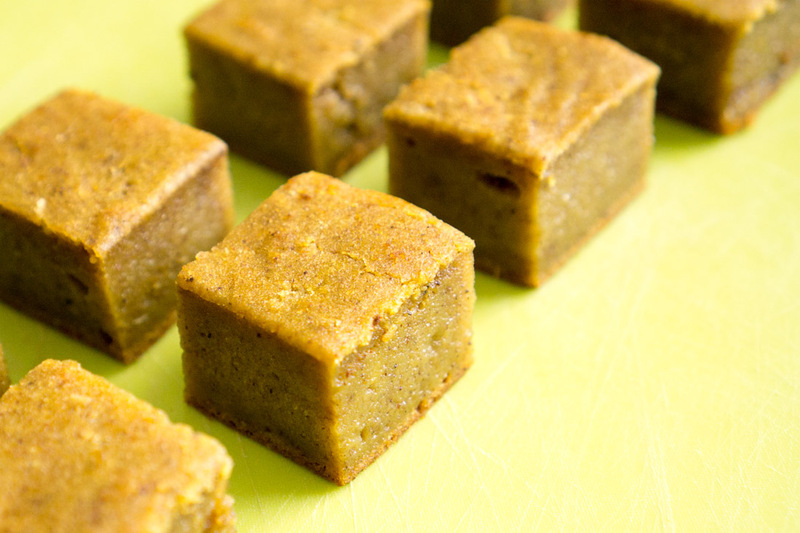 With these comments in mind, I decided to create a new pumpkin pie butter mochi recipe. I wouldn’t make the common mistake of adding too much pumpkin: the spices would lead the way. And the coconut milk would lend a surprising vegetal quality to the dessert, underlining the subtle pumpkin notes in the mochi. I can’t really think of an easier pumpkin dessert recipe. It’s wonderfully gooey and decadent, with crisp edges, and–most importantly–tastes just like the holidays. 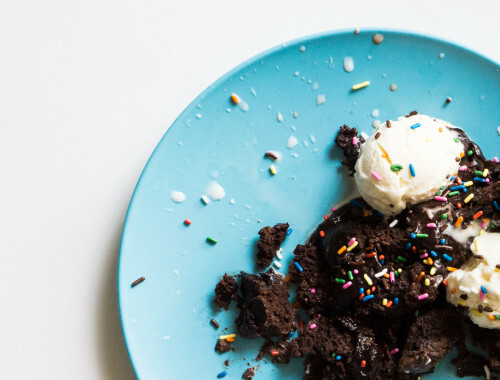 Bonus: it’s gluten-free, so you can bring it to all your fall and winter celebrations! 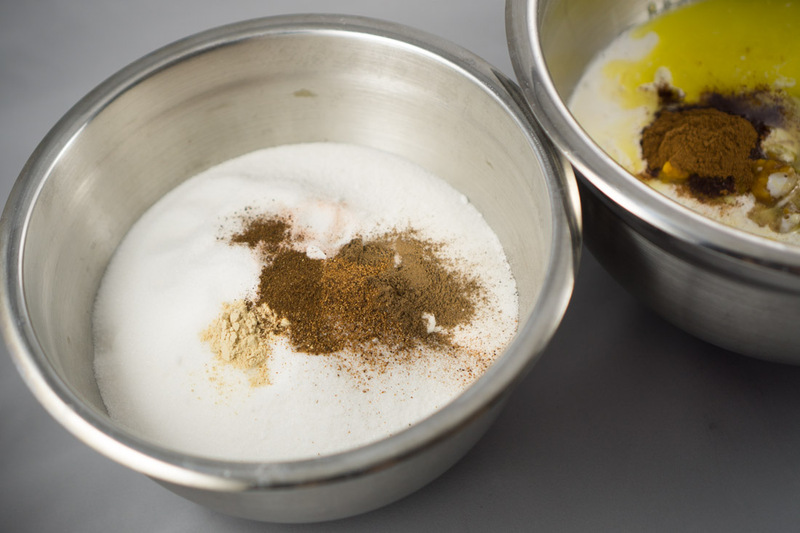 Whisk to combine the dry ingredients, and then do the same for the wet ingredients. 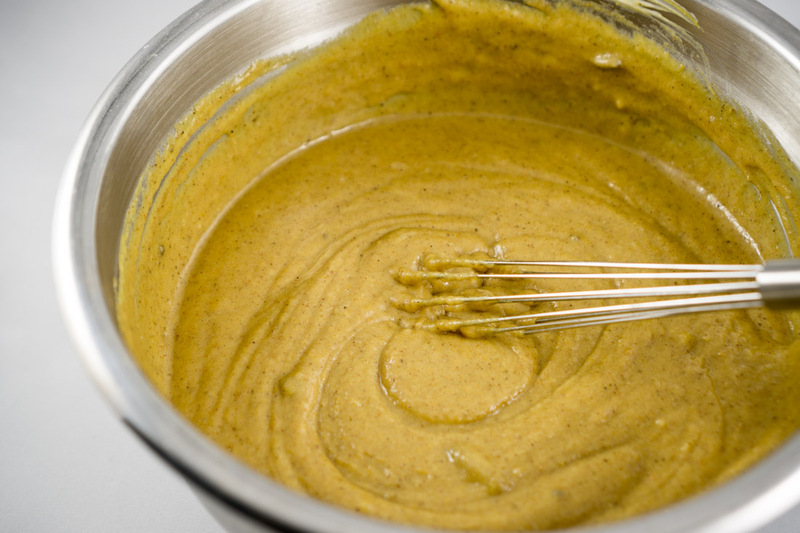 Then, whisk the dry ingredients into the wet ingredients, beating well after each addition. 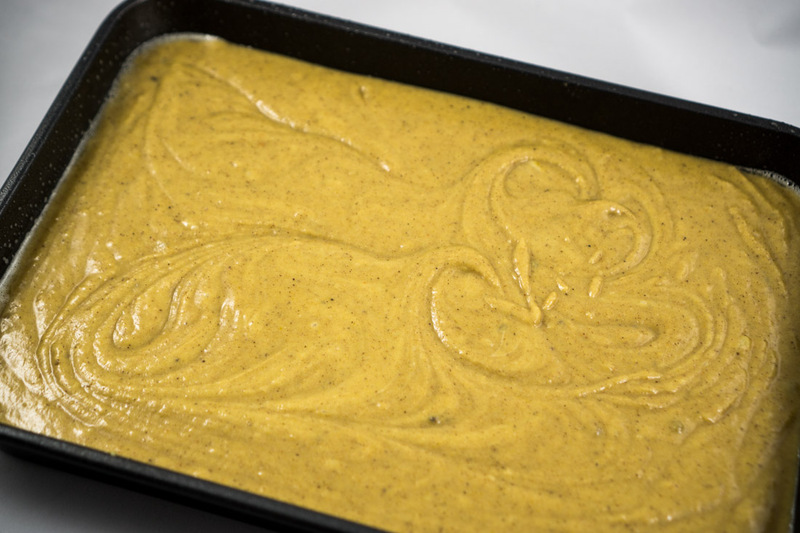 Pour mixture into a greased 13x9x2 baking pan. Bake at 350ºF for 1 hour. You’ll know it’s done when the mochi pulls away from the edges of the pan and is browned on its top and edges. Let cool for 1 hour. Run a spatula or butter knife between the mochi and the edges of the pan. Allow mochi to fully cool to room temperature, which might take an hour or so more. 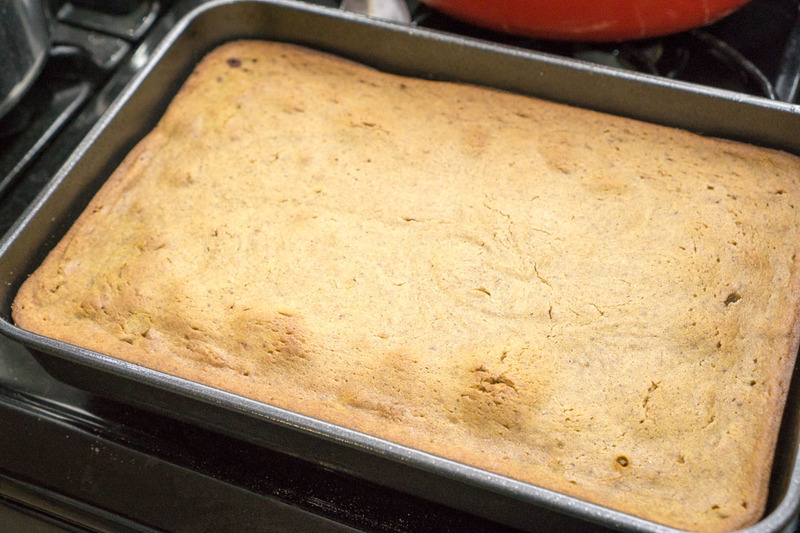 When mochi is cool, carefully remove it from the pan and ease it onto a large cutting board. 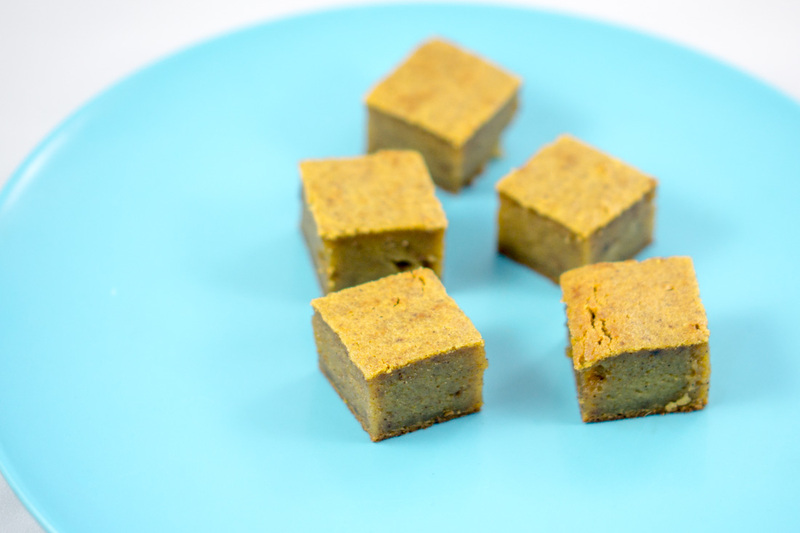 Cut mochi into small squares with a sharp chef’s knife. Enjoy immediately or serve the next day to allow time for the spices to meld and bloom. 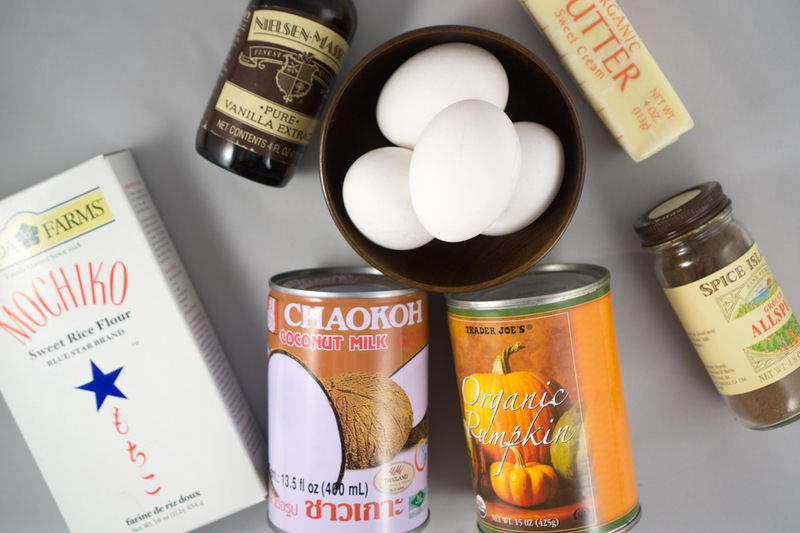 Mix butter, eggs, coconut milk, water, pumpkin puree, and vanilla in a large bowl. In a smaller bowl, mix the remaining ingredients. Sift dry ingredients into wet ingredients in several batches, beating well after each addition. Pour batter into a greased 13x9x2 inch pan. Bake in preheated 350ºF for 1 hour, or until mochi is set and soft in the middle, and is lightly browned on top and on its edges. Let cool completely in pan. Remove mochi from pan and cut with a sharp knife into small squares. Regular rice flour cannot be substituted and will not work in this recipe.